FileMaker Pro is simply powerful software used to create custom apps that work seamlessly across iPad, iPhone, Windows, Mac, and the web. Easily build your own custom app to meet your unique business needs. Or for inspiration, explore the built-in Starter Solutions for managing contacts, inventory, projects, and more. New FileMaker Pro 16 lets you create custom apps that work for your team on iPad, iPhone, Windows, Mac, and the web. Get more development tools to securely build powerful custom apps including the new Layout Objects window, cards, JSON functions, field-level text encryption, and more. With easy setup and installation and more than 50 pre-designed database templates for both business and home and 100 custom reports, MyDatabase gets you started fast. Manage customers, vendors, projects while tracking assets for insurance claims. Includes backup and estate planning software to ensure your data and valuables are always protected. FileMaker Pro is powerful, easy-to-use software used to create custom solutions for your business that run on iPad, iPhone, Windows, Mac and the web. FileMaker Pro is powerful, easy-to-use software used to create custom solutions for your business that run on iPad, iPhone, Windows, Mac, and the web. Create your own solution or begin with a built-in Starter Solution to manage contacts, inventory, projects, and more. Transform your business with the FileMaker Platform. Quickly create and run custom solutions that work seamlessly across iPad, iPhone, Windows, Mac, and the web - no programming skills needed. Millions of people worldwide rely on the FileMaker Platform to share customer information, manage projects, track assets, and more. FileMaker Pro Advanced includes everything in FileMaker Pro plus a suite of advanced development and customization tools. Get features to help you design and develop custom apps faster, troubleshoot more efficiently, and maintain your apps with ease. FileMaker Pro 13 is powerful, easy-to-use software for creating custom business solutions that run on iPad, iPhone, Windows, Mac, and the web. Choose from one of 16 built-in Starter Solutions, professionally-designed templates, to manage contacts, invoices, assets and more. Use built-in reporting and charting tools to make eye-catching summaries of your data. Even save your reports in popular Excel or PDF formats. 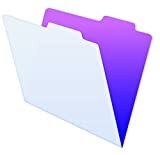 FileMaker Pro makes it easy to create custom solutions for managing business information on iPad, iPhone, Windows, Mac, and the web. Millions of people around the world use FileMaker Pro to streamline the way their teams manage contacts, track inventory, organize projects, and so much more. FileMaker Pro is so easy to use and includes so many features to help you get started quickly, you can have a new database ready to use in minutes, not hours or days. Every copy of FileMaker Pro, even the free 30-day trial, comes with a Getting Started tour that will have you up and running in no time. 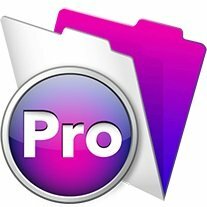 Drag and drop Microsoft Excel files onto FileMaker Pro to create a database instantly. Use the pre-designed Starter Solutions for managing contacts, tracking inventory, organizing projects, creating invoices, and more. Just import your data and customize the solution as you wish. Use flexible design tools to make your database screens look and work just the way you want – all without programming. Add fields to track whatever type of information you’d like, including names, numbers, dates, documents, prices, pictures, and more. Choose from a wide variety of coordinated themes to give your solution a professional look. Control fonts, colors, backgrounds, shading, and more. Even add your company logo to further customize your forms. Connect your information together with the powerful Relationships Graph. For example, link customer data to invoices details. Add buttons, scripts, calculations and pop-up lists to automate repetitive tasks and speed data entry. 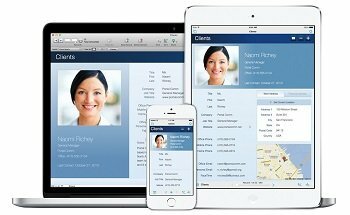 Go beyond the desktop and securely deliver FileMaker data to iPad and iPhone users for portable access while on the go. Create custom database solutions in FileMaker Pro and run them in FileMaker Go for iPad and iPhone. Add, edit, search, sort, and report on data on iPad and iPhone to instantly boost productivity for mobile users. Host solutions with FileMaker Server, then instantly share in real-time with iPad and iPhone users. Enable FileMaker WebDirect to access databases from web browsers. The built-in reporting and charting tools make it easy to produce informative and eye-catching summaries of your team’s data. Produce custom reports that group, sort and summarize data in a way that’s most valuable to your organization. Create pie charts, bar charts, bubble charts, line graphs and more. Automatically email in PDF or Excel formats. 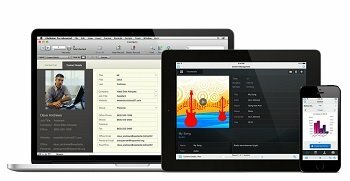 FileMaker Pro allows you to share data over a network with up to 5 other people on iPad, iPhone, Windows, and Mac. 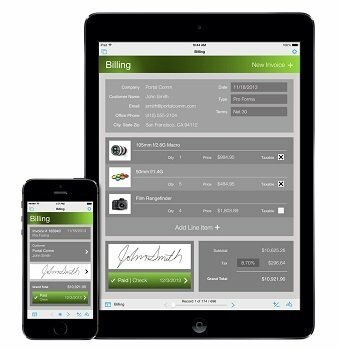 Multi-platform support allows users on iPad, iPhone, Windows or Mac to access the same database at the same time. It includes advanced security options including user accounts, database passwords, field-level privilege sets, data encryption, and more. Import and export a variety of formats to eliminate duplicate data entry. Plus, create live two-way connections with external data sources. Import and export a variety of formats, including .XLSX, .CSV, Tab, or XML. Use the ODBC and JDBC standards to exchange and interact with data from other applications. Connect with external SQL data sources including the latest versions of Oracle, Microsoft SQL Server, and MySQL. 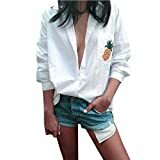 Size:S _ Bust:122cm/48.0" _ Length:72cm/28.3" _ Sleeve:32cm/12.6"
Size:M _ Bust:126cm/49.6" _ Length:74cm/29.1" _ Sleeve:33cm/13.0"
Size:L _ Bust:130cm/51.6" _ Length:76cm/29.9" _ Sleeve:34cm/13.4"
Size:XL _ Bust:134cm/52.8" _ Length:78cm/30.7" _ Sleeve:35cm/13.8"
❦The item will be shipped from China.so it need 10-23 days to deliver. Mrsrui is in Shenzhen City South China that famous as "creativity city". Our products have high quality and fine competitive price. 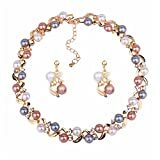 We will try our best to provide the latest products, the most chic jewelry and the best service for my dear customer. Looking forward to your Good feedback. HR Tracking Database Software by DB-Pros Inc. Powerful, Intuitive Human Resources (HR) and Employee Payroll Database System for team management, applicant tracking and more for your growing business. * Track current staff, job applicants and candidates, upload resumes and job applications. * Full training and education administration with compliance reporting. Lifetime desktop license. No additional fees or charges.